Light Duty Cutlery Combo Pack - 48 Ct. Available in 19 different colors! Gold Cutlery Combo Pack - 24 Ct.
Black Cutlery Combo Pack - 24 Ct. Dark Blue Cutlery Combo Pack - 24 Ct.
Red Cutlery Combo Pack - 24 Ct.
Yellow Cutlery Combo Pack - 24 Ct.
Silver Cutlery Combo Pack - 24 Ct. Pink Cutlery Combo Pack - 24 Ct.
Purple Cutlery Combo Pack - 24 Ct.
Light Blue Cutlery Combo Pack - 24 Ct.
Lime Green Cutlery Combo Pack - 24 Ct. 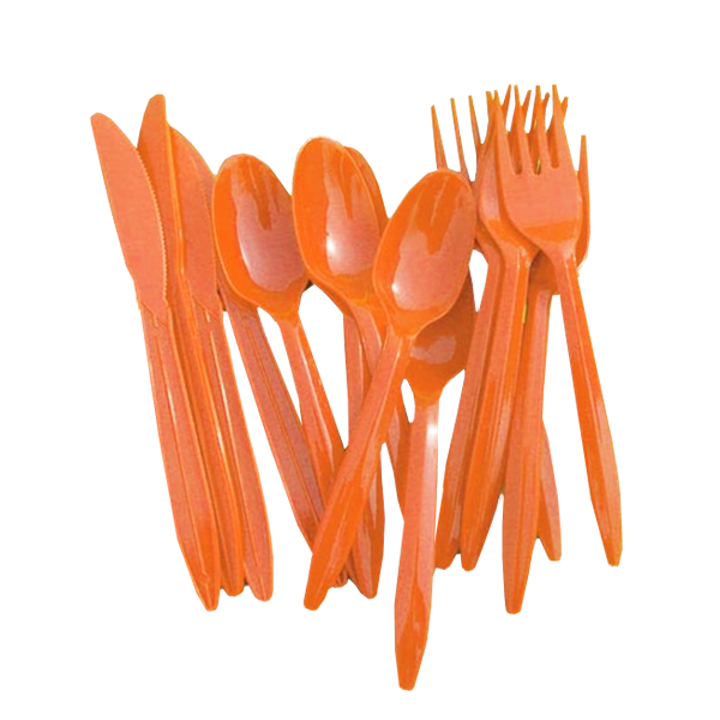 Delight dinner guests at your next event with our selection of light duty plastic cutlery combo packs. Each pack contains 16 forks, 16 spoons, and 16 knives. Plastic flatware is a cost effective and simple way to turn a birthday party, dinner party, or formal affair into a wonderful, stress free event! Choose from 19 different colors! L: 6.0 in. W: 6.0 in. H: 0.75 in.